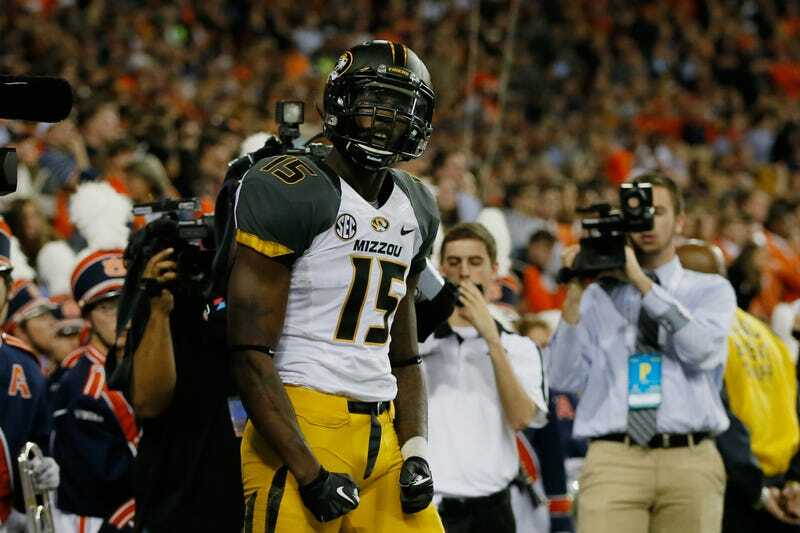 Columbia police announced today that Missouri star wide receiver Dorial Green-Beckham will not be arrested in connection with an incident that occurred this weekend, when Green-Beckham allegedly forced his way into an apartment trying to locate his girlfriend and injured one of the residents. That victim told police she did not want to press charges because "she was afraid of the media and community backlash." According to the incident report, Green-Beckham's girlfriend told the victim she had been assaulted too. The incident report states that Green-Beckham's girlfriend was uncooperative in the investigation, declining to meet with the police's domestic assault specialist. After one interview, the girlfriend's mother contacted police asking them not to contact her daughter anymore. "I'm disappointed. Frustrated. We run this program with integrity. We teach our players to be accountable, responsible people. When they make mistakes — and they're going to make some mistakes — when they're serious mistakes, obviously, it stings. It stings me. It stings the players. That stings our fans. My job is to get it fixed. That's what I intend to do."